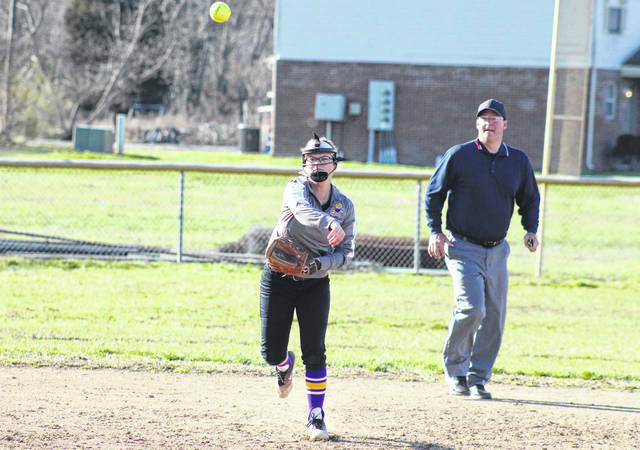 Southern junior Kassie Barton fires to first base, during the Lady Tornadoes’ 10-0 setback on Wednesday in Hartford, W.Va.
HARTFORD, W.Va. — A memorable home-opener for one particular senior. 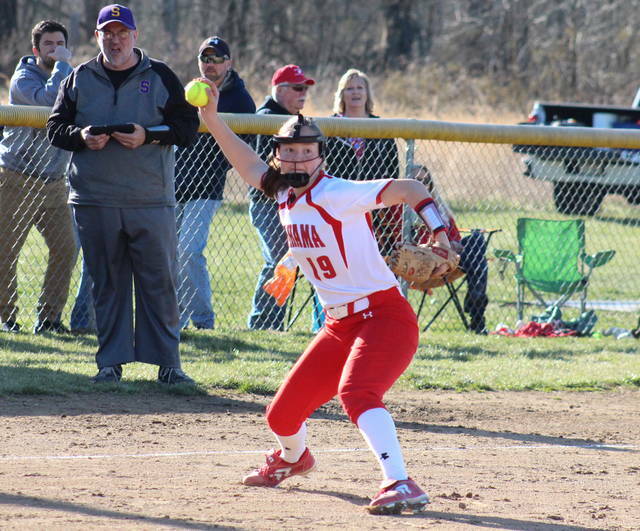 Playing on their home field for the first time this spring, the Lady Falcons picked up a 10-0 mercy rule victory over visiting Southern in Tri-Valley Conference Hocking Division softball action on Wednesday night, with Wahama senior Hannah Billups pitching a no-hitter. Southern (0-2, 0-2 TVC Hocking) had its only base runner of the night after a base on balls with two outs in the top of the first. 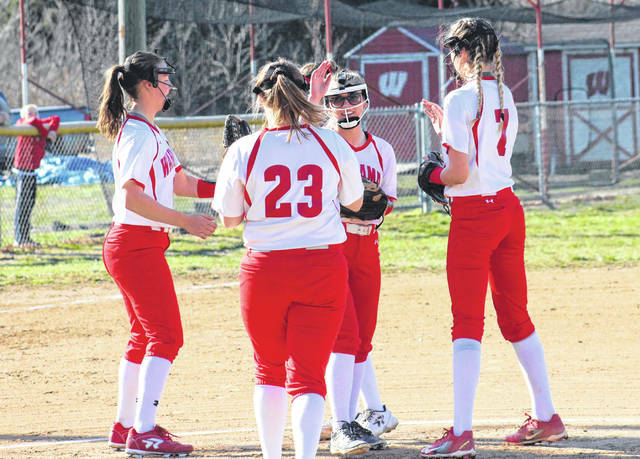 Wahama (6-1, 2-0) broke the scoreless tie before the first out was made in the bottom of the first, and the Lady Falcons were ahead 5-0 by the end of the frame. The Red and White took advantage of three SHS errors in the second inning and increased their lead to 9-0 headed into the third. On the fourth at-bat in the home half of the third, the hosts got the run they needed to cap off the 10-0 mercy rule victory. Billups was the winning pitcher of record for Wahama, striking out two batters and walking one. Abby Cummins suffered the setback in a complete game for the guests, allowing 10 runs, four earned, and nine hits, without a strikeout or walk. Leading the Lady Falcon offense, Lauren Noble was 2-for-2 with two runs scored and two runs batted in, and Maddy VanMatre was 2-for-3 with a double, two runs and two RBIs. 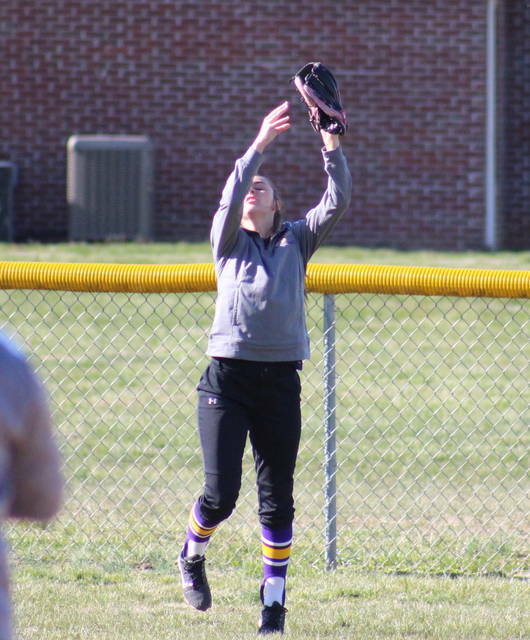 Tanner King contributed a double, a run and two RBIs to the winning cause, while Deborah Miller and Hannah Rose each added a double and a run scored. Emma Gibbs singled once, scored twice and drove in one run for the victors, Victoria VanMatre added a single, while Emily VanMatre scored a run. Wahama left two runners on base, one more than Southern, but the Lady Tornadoes were responsible all-7 of the game’s errors. The Lady Falcons and Lady Tornadoes are scheduled to meet again on April 12 in Racine. After visiting Calhoun County on Thursday, Wahama will be back in Hartford on Friday against Federal Hocking. Southern returns home for its next contest, welcoming South Gallia on Friday.